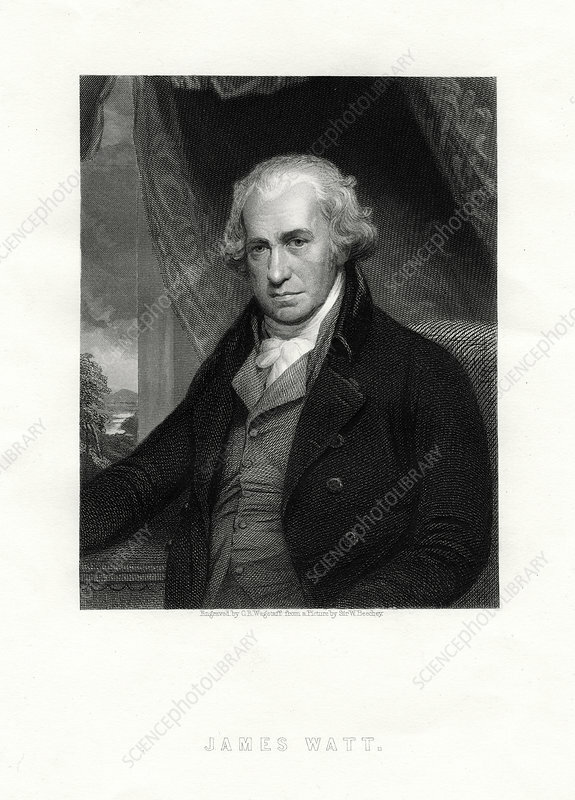 James Watt, Scottish inventor and engineer, 19th century. Watt's (1736-1819) improvements to the steam engine were fundamental to the changes wrought by the Industrial Revolution. Artist: CE Wagstaff.